Herbal Glo has already caught the attention of Harley Street Doctors who have begun recommending Herbal Glo as the only natural product for various Skin, Hair and Nail conditions ranging from Hair loss to Acne to Eczema and Psoriasis. The product itself was recently tweeted by actor Akie Kotabe who confessed “I gotta say, been feeling pretty awesome using Herbal Glo Supplements”. Herbal Glo is an age-old combination of herbs and minerals which promotes a natural detox within the body. It is a well-known fact held within the natural medicine practitioner community that 9 out of 10 diseases come from the stomach. Unknown to many, the main causes of imperfect Skin, Hair and Nails is due to a build up of excess toxins and hormonal imbalance inside the body. Toxins and hormonal imbalance are directly connected to the daily foods we consume; many of which have been exposed to pesticides and growth hormones that are still widely used in the food industry. This is the reason why Herbal Glo works so effectively as it targets the stomach – the root cause of the problem. The nutrients from the herbs and minerals assist in balancing the Yin-Yang. Once the body is balanced and the toxins are “removed” the Skin, Hair and Nails grow stronger and healthier. The body starts to produce a balanced amount of natural oils that result in stronger, healthier skin to push away imperfections and help fade stubborn blemishes and black spots. “Whilst Herbal Glo stems from an age old remedy, this launch marks the new, exciting frontier for Fakraaj Herbals” said Asim Shah, Managing Director. 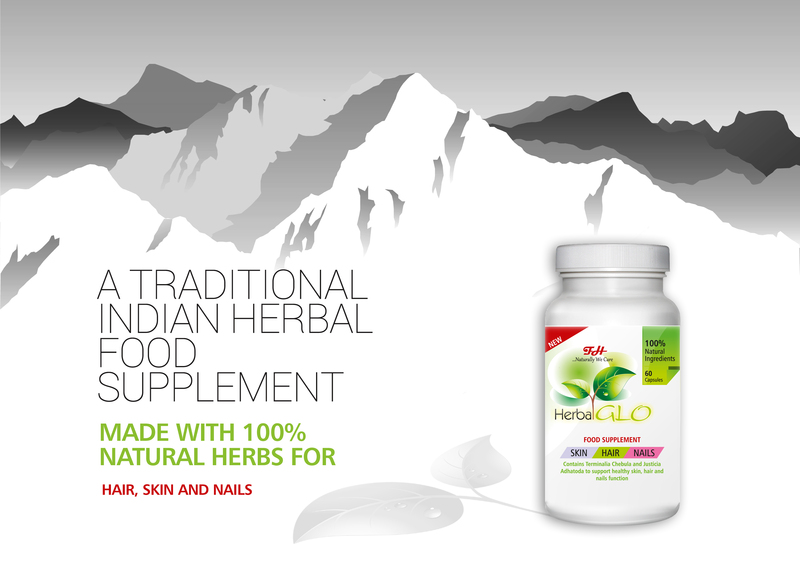 “Herbal Glo is a food supplement that is genuinely 100% natural (not synthetic vitamin based). We are confident that this will attract and inspire a new range of consumers to take control of their personal health and wellness ”. According to Asim, Herbal Glo should appeal to both males and females. “It is just as important for men to get their daily dose of nutrients as it is for women.” Compared to the leading market brands, Herbal Glo offers a fast and effective, 100% natural way to supplement the body. “We have been overwhelmed by amazing customer feedback. A number of customers have commented that Herbal Glo has exceeded expectations, not only with the results they have experienced, but also how fast they saw the benefits of the supplement to their daily wellbeing”. 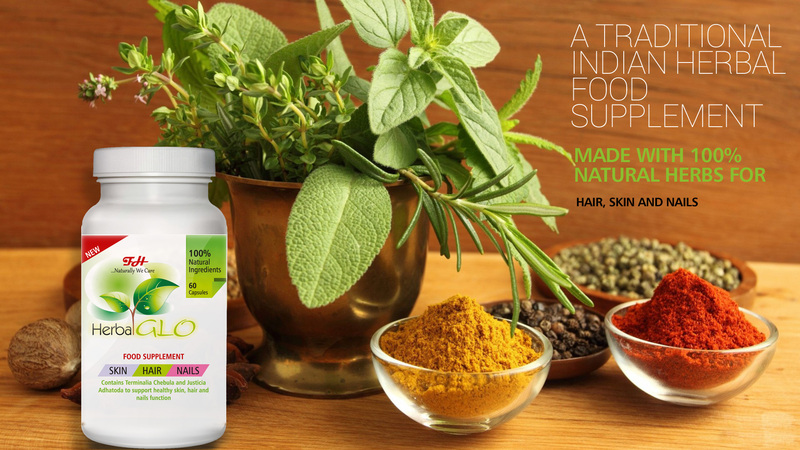 Unlike others on the market, Herbal Glo offers the consumer an opportunity to have a genuine non-synthetic food supplement made from raw herbs and minerals. The majority of the herbs are organic and have been carefully hand picked by the locals from the wild steeps of the Himalayan mountains enabling us to take advantage of the nutrients which the regions provide thus adding to the effectiveness of the product. Herbal Glo is approved by the EU Directive 2001/83/EC as amended by 2004/24/EC, gluten-free, wheat-free, dairy-free, no artificial preservatives, no colors or flavorings. Suitable for Vegetarians and Vegans.